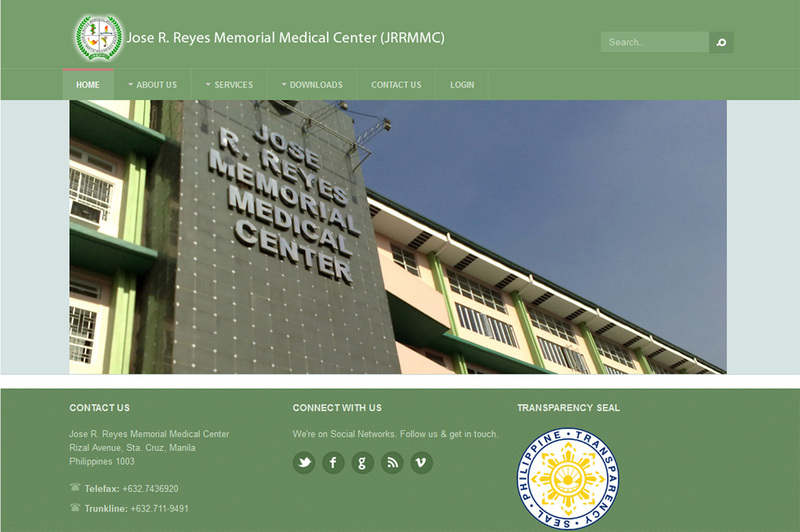 The official website of the Dr. Jose R. Reyes Memorial Medical Center (JRRMMC), or simply Jose Reyes hospital, features a trendy design and initiuitive features for social and user interaction/participation like comments, sign-ups, tags, among other web 2.0 features. The medical center is one of the state-owned, public, and notable hospitals in Manila, under the national health agency the Department of Health, recognized for its teaching-training programs and internships and serves the urban populace of central Manila and neighboring cities. Visit the Jose Reyes hospital website at www.jrrmmc.gov.ph/.